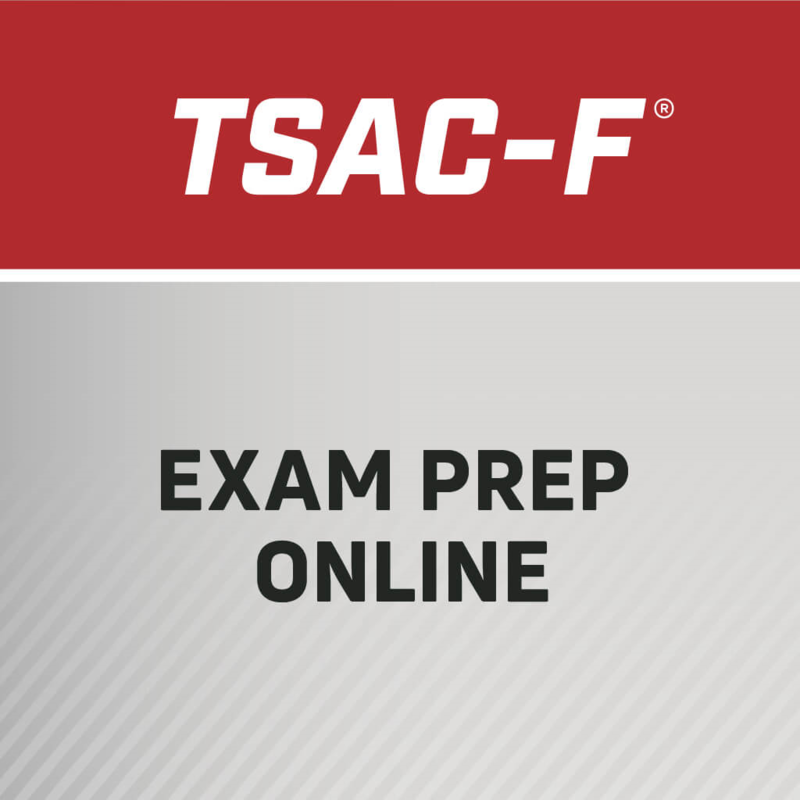 Once purchased, TSAC-F Exam Prep Online can be accessed by logging in at NSCA.com. Click on My Account and scroll down to Courses & Practice Questions. If you are purchasing for another individual or multiple individuals, please contact us at products@nsca.com so that the order(s) can be created for you. Copyright 2013 NSCA. All rights reserved. Reproduction, modification, translation, distribution, or transmission of NSCA’s TSAC-F Exam Prep Online in any form, in-part or in-full, is strictly prohibited. TSAC-F Exam Prep Online is a valuable tool designed to assist individuals in their preparation process and is not a comprehensive stand-alone course. The course has been developed as a final stage of preparation for certification. Recommended textbooks and materials should be studied prior to or in conjunction with the utilization of the exam preparation course. TSAC-F Exam Prep is a supportive tool that will help to draw a wide array of job-specific factors together along with current knowledge of strength and conditioning. The Exam Prep incorporates material provided in Essentials of Tactical Strength and Conditioning and concludes with a short, end-of-course practice exam. This course is not considered to be a stand-alone resource for the TSAC-F certification. It is designed to be used in conjunction with the Essentials of Tactical Strength and Conditioning. The Essentials of Tactical Strength and Conditioning is available for purchase at NSCA.com.